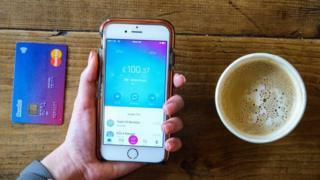 Home Latest News Do money apps make us better or worse with our finances? Finance apps are proving increasingly popular, but are they making us better at managing our money or encouraging us to spend more? Kerry Hudson, 28, spent her childhood living in poverty in Scotland with her single mother, in “a succession of council estates, bed and breakfasts for the homeless, and caravan parks”. She lived in seven different places before she was 15, and attended 14 schools. She found solace in books and the peace of the library, eventually growing up to become a prizewinning writer. 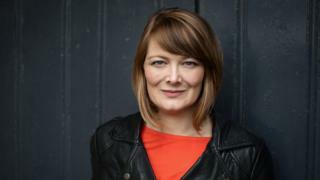 Her most recent book, Lowborn, is about people growing up without money. But although her childhood experiences gave her a constant, gnawing fear of slipping back into poverty, Kerry found managing her finances difficult. So she sought help in the form of a money app from Revolut, the financial technology start-up currently under fire for an insensitive marketing campaign. “It gives me a breakdown of what I’ve spent and, if it is often far too much in coffee shops where I primarily work, I know I’ve got to be more careful the following week,” she says. The app also has an automatic saving facility and free cash withdrawals abroad (up to £200 a month). Global downloads of finance apps hit 3.4 billion in 2018 – that’s 75% more than three years ago, says Silicon Valley analytics company App Annie. Their popularity is growing fastest in emerging-market countries, such as Brazil, India and Indonesia. And making it easier to send money to other people seems to be a major reason for their popularity in these countries. The world’s three most downloaded money apps in 2018 – India’s Te and PhonePe, and China’s Alipay – as well as China’s WeChat, all focus on money sending as a core function. “I get instant notification, it informs whoever’s receiving a payment that it’s sent, and conversation is driving payment,” says Rachna Ahlawat, co-founder of Ondot, an app that lets users switch credit and debit cards on and off. In the US, 92% of 18 to 37-year-olds use finance apps, says Dr Annamaria Lusardi at the George Washington University School of Business, mostly to track spending and pay bills. But are these apps changing how we spend and save? Comprehensive evidence is hard to come by, but Reykjavik-based Georg Ludviksson, chief executive of fintech firm Meniga, says people who start using finance apps spend 7% less on average in the following six to 12 months. But he admits that simply cutting up your credit cards can have a more dramatic effect on your spending. His company is developing personalised banking apps for banks such as Spain’s Santander, Sweden’s Skandiabanken, and the Netherlands’ ING Direct. Regularly seeing where our money goes seems key to successful budgeting. “If you’re constantly reminded how much you’ve already spent, it becomes more painful to pay for the next item,” according to Rufina Gafeeva in Cologne, who researches how technology changes our spending behaviour. But if payment apps just make spending money easier, with less emphasis on budget management, we can end up spending more than we did before we started using the app, she warns. Just think of the speed and convenience of contactless payment. Image caption Do “tap to pay” apps lead to thoughtless spending? Nearly a third of 18 to 37-year-olds in the US who use mobile payment apps have at some point become overdrawn, says Dr Lusardi, compared with only a fifth of non-app users. “What’s the point where convenience becomes dangerous?” asks Steve Tigar, chief executive of Money Dashboard, a popular financial management app. “Does Apple Pay take you to a point of convenience where it’s just so easy to throw away money? Money Dashboard makes your past spending more apparent by letting you see all your bank and credit card accounts in one place, and categorising your transactions to show you on what you spend the most. An equivalent in the US and Canada is Mint.com. It helps you make a budget and track your spending against it. 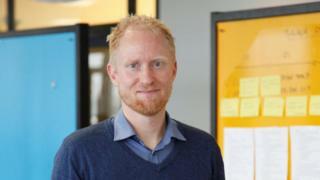 “The better [money apps] are trying to be like Facebook,” says Meniga’s Georg Ludviksson. “You read through your feed, your transactions might be there, but also some insight and nudges about what you’re spending money on,” he says. If your Starbucks habit is getting out of control, for example, the app will warn you. Behavioural economists from Harvard Business School and the University of Edinburgh found that people using Money Dashboard “were saving about 40% of discretionary spend, about £10 per log-in,” says Mr Tigar. “[There’s a] correlation between people regularly logging in and their ability to stick to a budget,” he says. In Europe, the 2015 Payment Services Directive (or PSD2), was supposed to foster innovation by giving approved start-ups access to your banking data. But banks have been slow in providing interfaces for tech firms, claims Mr Tigar, and this has frustrated many start-ups. “There’s really little variation in [banks’] core products, so very little incentive for consumers to switch, and then this doesn’t breed innovation,” he says. And as personal debt levels continue to rise around the world, it seems money apps can cut both ways. They can make us more aware of how much we’re spending and what on, helping us to stick to a budget, but the convenience of contactless payment could also be encouraging us to spend even more.